By becoming an Associate Partner to Art Basel and launching a programme of commissions for artworks by emerging or mid-career artists, the luxury Swiss watchmaker Audemars Piguet casts an invitation to contemporary art. 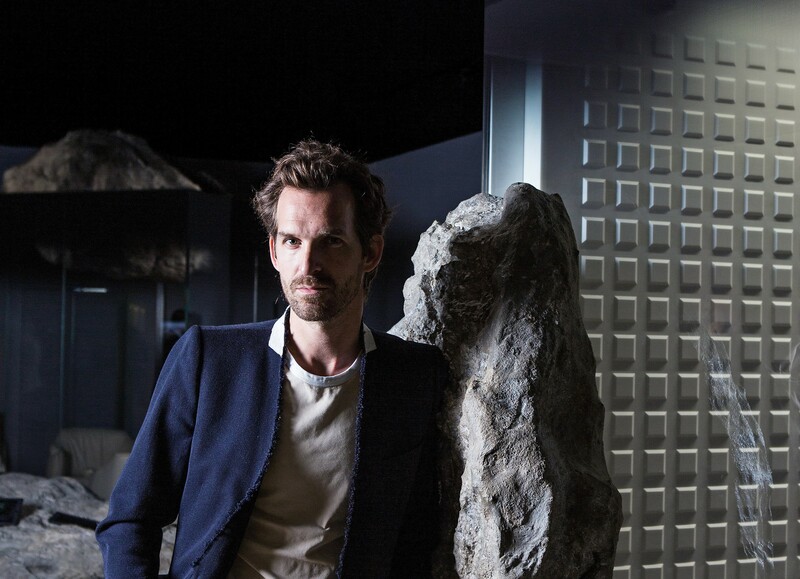 Making its mark on the three annual editions of Art Basel – Hong Kong in March, Basel in June, Miami Beach in December – Audemars Piguet commissioned French designer Mathieu Lehanneur to imagine its booth inside the art fair’s Collectors’ Lounge. His response, a setting that dovetails technology and design, confirms the watchmaker’s choice. The result is a peaceful, enigmatic environment that seems almost out of place in its art-market surroundings. Yet Lehanneur is convinced his design isn’t that far removed from the intentions that inspired the creators of the Royal Oak, who put the gold inside the watch, not on the outside. He believes Audemars Piguet has understood that art can help greater self-awareness and, in this instance, that it can also tie the watchmaker even more strongly to its origins in the Vallée de Joux rather than Geneva, the city with which the brand is more readily associated. A film titled Measure, commissioned from Austrian video artist Kurt Hentschläger, is permanently screened on one of the walls of the booth. Its images play on the sense of eternity that emerges from the Jura mountains, and reinforces the identity of the brand as being rooted in the region. Audemars Piguet could easily have contented itself with a financial partnership with this most prestigious of art fairs, and capitalise on its media presence. Instead, it has made it a springboard from which to explore new directions. Beginning in 2015, each year it will commission a major art work that will be shown at the three international locations of Art Basel on a rotating basis. The sole condition is that the work “will emphasise the visual and conceptual expression of complexity, precision and creativity.” In other words, that it should reflect on how art relates to the watchmaker’s art. As well as financial support for the project, the brand will provide access to the advanced expertise and technology required to bring it to fruition. Accordingly, it has set up an Art Commission that will oversee the process and select artists. Each year, this commission will be headed by an internationally renowned guest curator. First to take on this role is Marc-Olivier Wahler, who is known for the bold choices he makes for the Chalet Society, the nomad exhibition structure he has created, and while he was director of Palais de Tokyo in Paris. He has already drawn up a mental list of twelve artists whom he believes could benefit from this collaboration, but refuses to take the easy option, namely to choose one who has already produced a monumental work under the aegis of an established gallery. 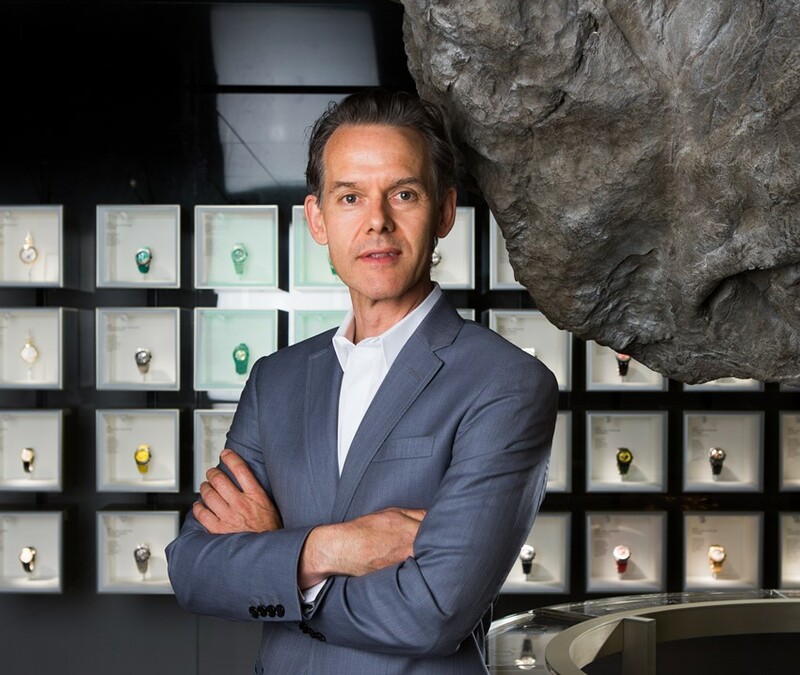 In his mind, that an extraordinary project should be allowed to exist thanks to Audemars Piguet’s initiative is nothing less than a contribution to art history.